Amazon is offering a new service called Kindle Scout. Here is the letter from the company. We’ll keep an eye on this. We believe authors thrive with options. In addition to Kindle Direct Publishing (KDP), Amazon is pleased to offer Kindle Scout, a reader-powered publishing program for new, never-before-published books. Jump-start your book and potentially earn a publishing contract from Kindle Press–in 45 days or less. Kindle Scout helps you connect with readers prior to publication. If your book is selected for publication by Kindle Press through the Kindle Scout platform, readers who nominated the book will receive an early, free copy and be invited to leave reviews. 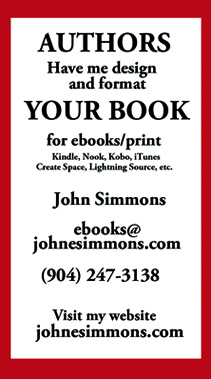 If your book is not selected, readers will have the option to be notified when you independently publish through KDP. Kindle Scout welcomes submissions for English-language books in the following genres: Romance, Mystery & Thriller, Science Fiction & Fantasy, and Literature & Fiction. Action & Adventure, Contemporary Fiction, and Historical Fiction will be accepted within the Literature & Fiction category. Any adult age 18 or older with a valid U.S. bank account and a U.S. Social Security number or tax identification number is eligible. Check out the Kindle Scout Eligibility & Content Guidelines for more information. Learn more about this new opportunity.